People who follow our blog have read me bemoan that Californian wines just aren’t available here in Europe. What they get are our worst, big production wines which aren’t particularly good, nor are they a good example of the wines we produce. 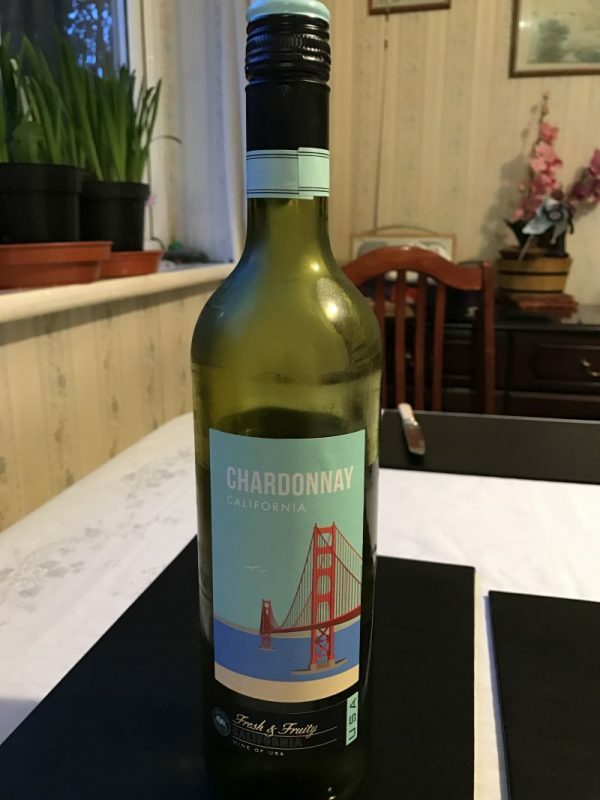 When shopping Lidl (think Walmart version of Trader Joes) I found a surprise bottle of Cimarosa Chardonnay which contradicted those statements. While perusing the aisles, I came upon a bottle of what described itself as “California Chardonnay”. It had a very brightly colored label on it with a picture of the Golden Gate Bridge. I looked at it and frowned. I had no idea who the vineyard was that produced it. The price on the bottle was £4.99 which is equal to about $6 USD. Then an evil plan formed in my mind. (mwahahaha!) I would give this to some of my British wine drinking friends and see what they thought of it – as a joke (surely it had to be rubbish for that price and the cheap looking label). Well, dear readers, the joke was on me for sure! The label says Fresh and Fruity. You have to hunt for the name of the winemaker, Cimarosa, on the bottle. (Not to be confused with Napa’s Cimarossa Vineyards.) I think this may be Lidl’s own brand as I couldn’t find anything about it on the internet. My host had prepared a vegetable curry from scratch; I started to feel a bit guilty. All of his cooking efforts deserved one of the other wines I brought with me and not the mean, cheap, bottle didn’t they? Nah! So I poured out our glasses. The first smell that hit me was like an island paradise. Notes of pineapple and passion fruit wafted through the air. Holy moly did it smell good. Not like any Chardonnay I had ever smelled before. As we sat down to eat, we toasted the glasses of wine and each took a sip. It was AH-Mazing! I couldn’t believe it! All of those tropical fruits were right there, passionfruit, pineapple, and coconut! There was a strong flavor of vanilla, a touch of butter, and a fair bit of oak, but that was just a finishing sigh to the beauty of that glass. The wine was really weighty in the mouth and had a touch of luxury and elegance to it. 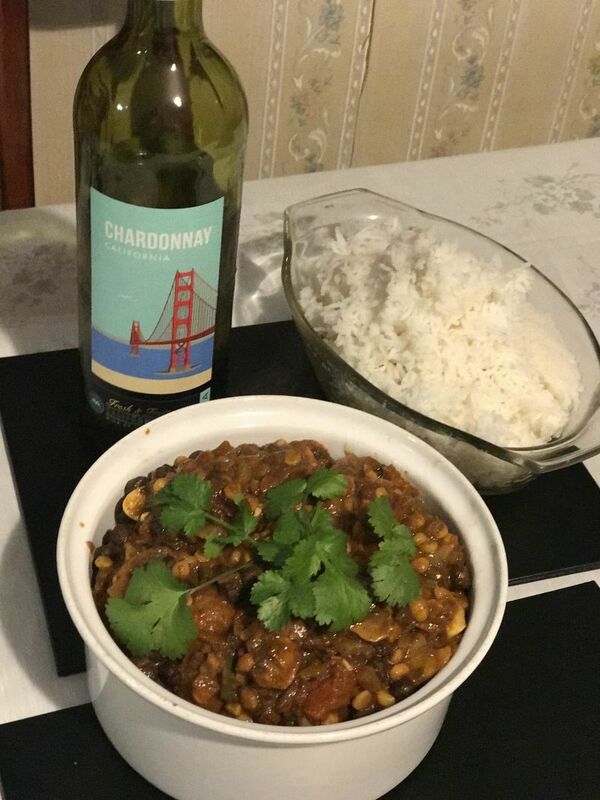 It was a total star with the flavors of the curry. Since it was a weeknight, I decided that I wouldn’t overindulge and had only the one glass as my host had to work the next morning. He was so wowed with the wine he drank the entire rest of the bottle himself. I don’t think he felt that good the next morning lol. 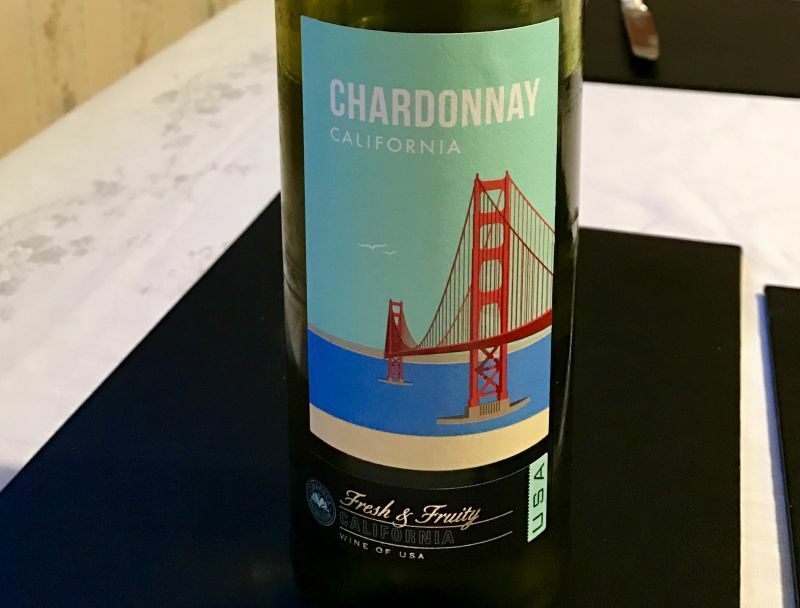 I was so impressed, I went back to Lidl and bought 5 more bottles of this Chardonnay and one bottle of the same brand California Zinfandel. My hope is that the Zinfandel has that same magic in its flavor. Cheers! I feel exactly the same as you, I am quite fussy with my Chardonnay, its the only wine I like but I went into lidl the other day and they said they will no longer be stocking it……. I feel a real loss! Oh no! That’s a tragedy! I’m really bummed! Thanks for your comment and sharing my love for Wine!